5 Links about Refactoring 5 Links about Refactoring | That’s a Bug! In this deck, Martin Fowler explains various visions of refactoring, their triggers, objectives and workflows. 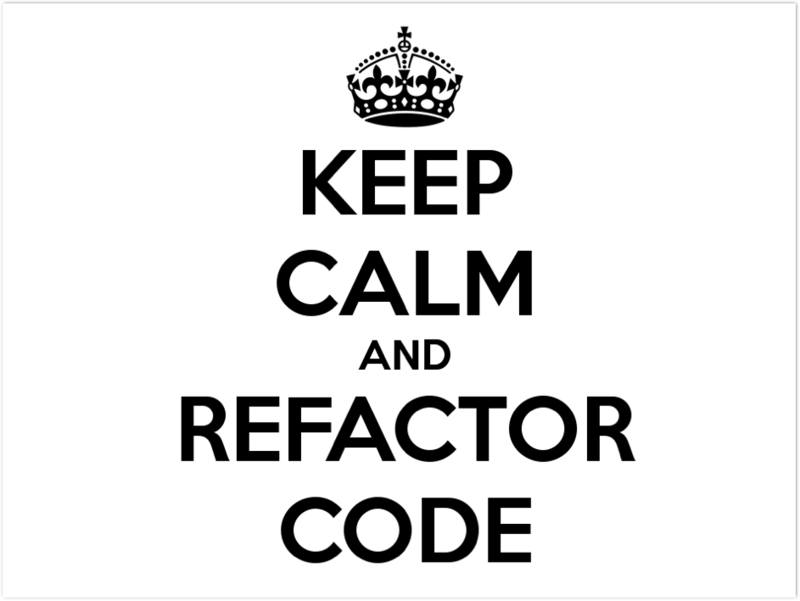 Click on the link below if you want to know about TDD Refactoring, Litter-Pickup Refactoring, Comprehension Refactoring, Preparatory Refactoring, Planned Refactoring and Long-Term Refactoring. In this article, Martin Fowler deep dives into the process of refactoring a piece of video store controller full of conditionals, switch-cases and nesting into clean, expansible and well-designed code art. Now to focus more on a refactoring in a specific context, this article focus on extracting Youtube API external dependencies from the business logic on a video service, making easy to deal with changes on both sides. This article shows how to implement the Presentation-Domain-Data Layering architecture starting from a structure which mixes UI, business logic and database interaction (a.k.a. a mess). Venkat Subramaniam dives into Java features to move from imperative style of code to more clear functional expressions, leveraging strongly Java 8 collections and other features.